This fabulous mansion made out of bricks has everything you could wish for on a royal residential house. 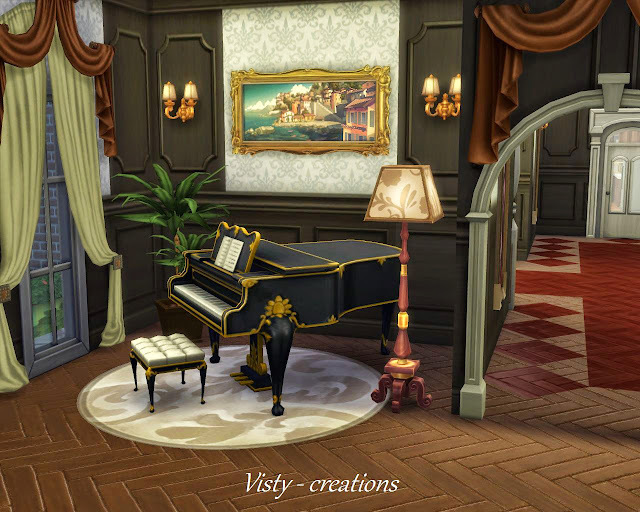 All rooms are filled with luxurious furniture and appliances. 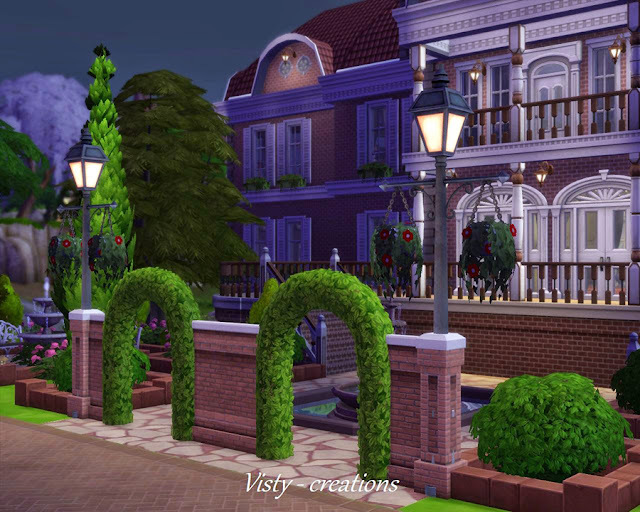 Once you entered the garden archways, you will be welcomed with a spectacular dual staircase that leads to the main entrance. 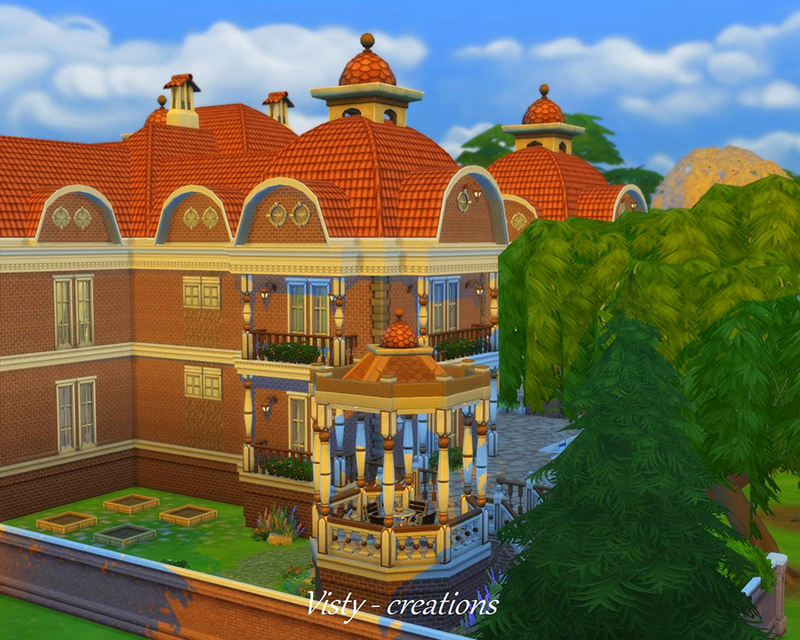 Building this home will cost you more than half a million simoleons, §525,622 to be precise, not to mention the 50 x 50 lot area that it requires. It has 4 bedrooms, 3 bathrooms, large kitchen with center island, greenhouse, office, balconies, patios, and extra rooms for other activities like playing piano. 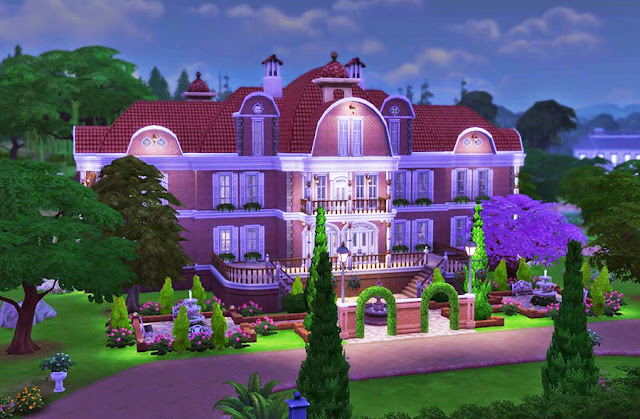 Exterior is fully surrounded with plants that compliment the whole mansion. 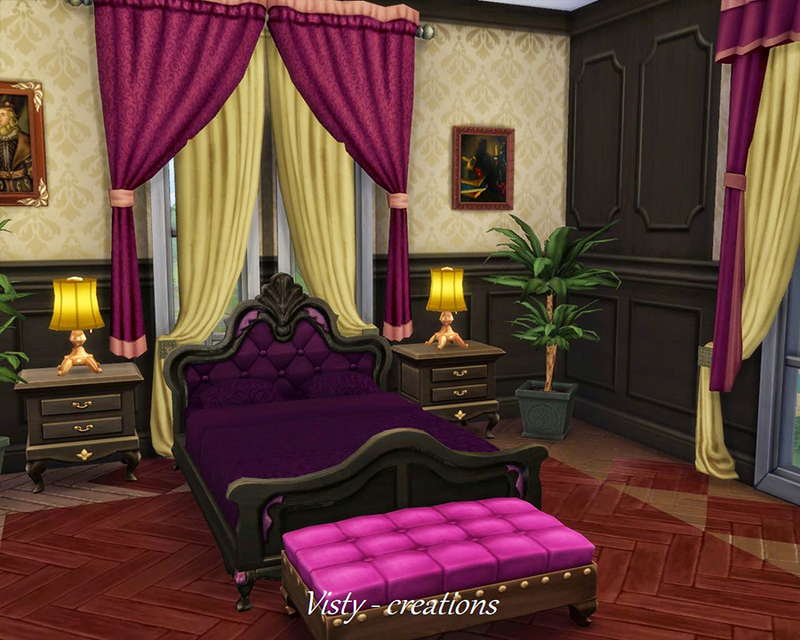 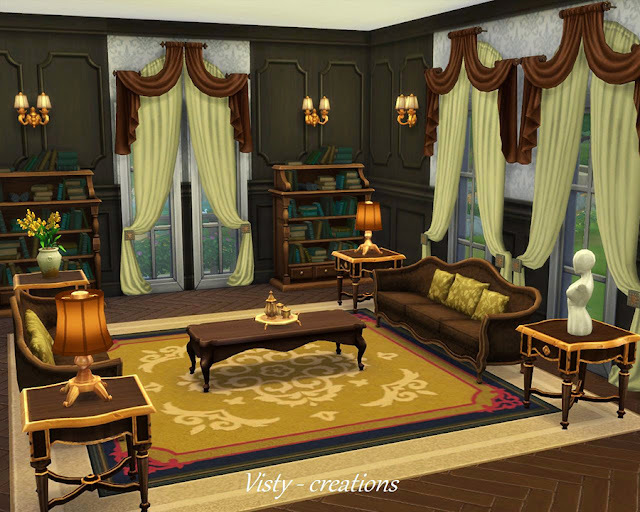 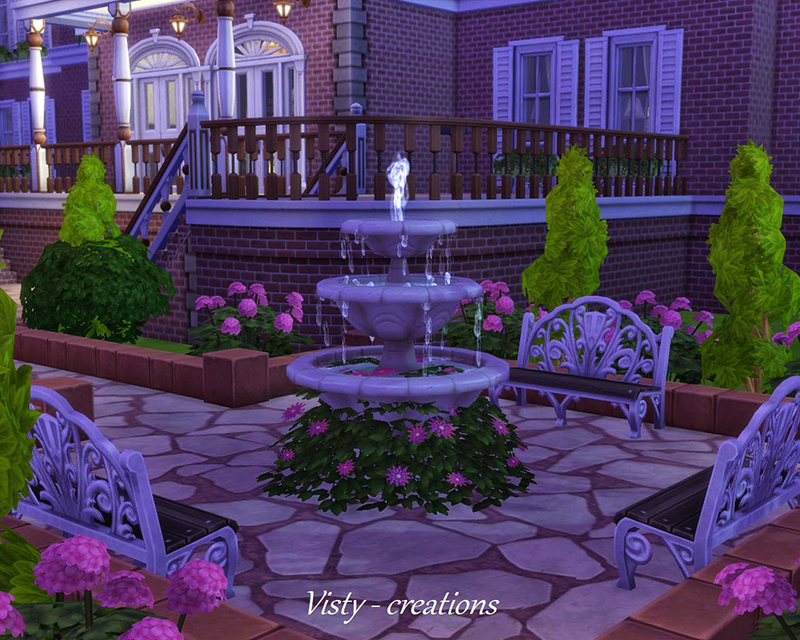 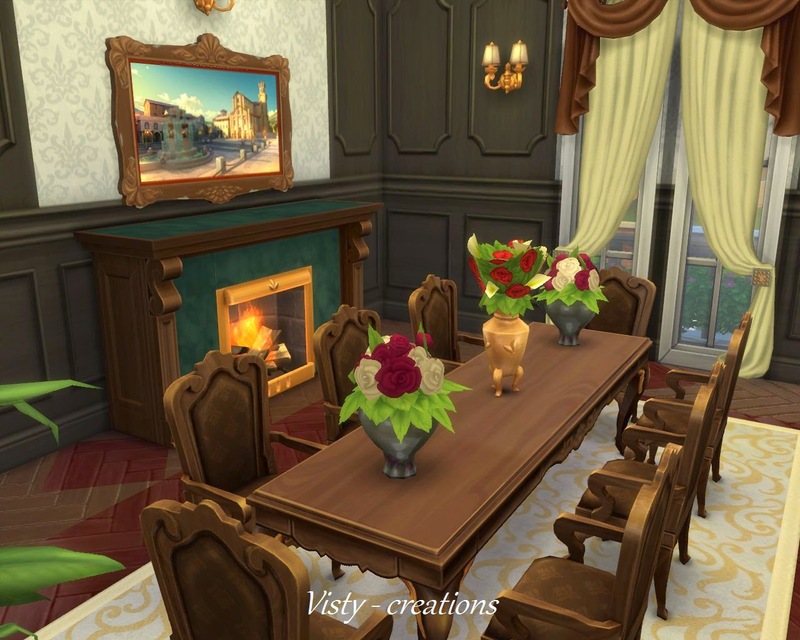 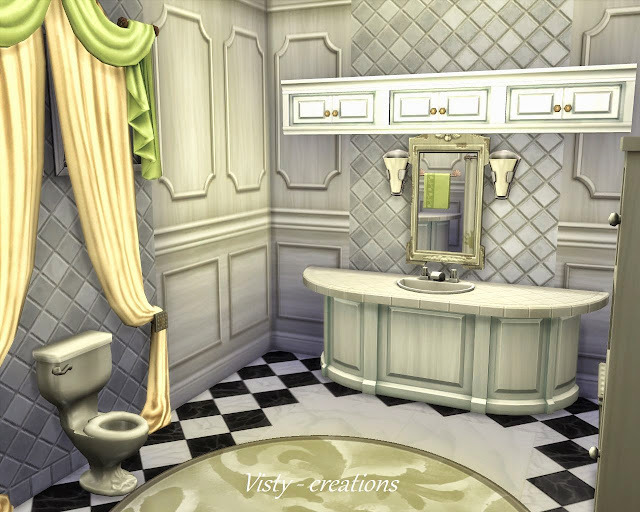 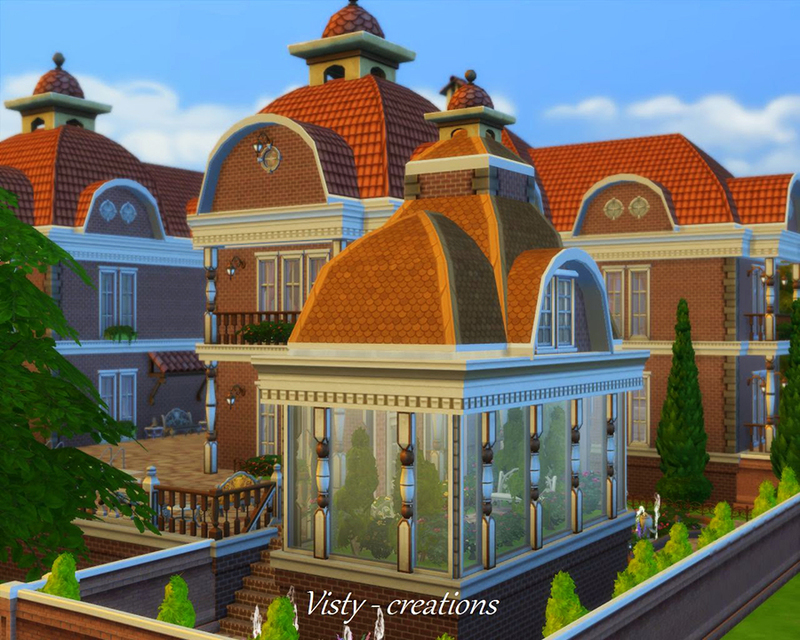 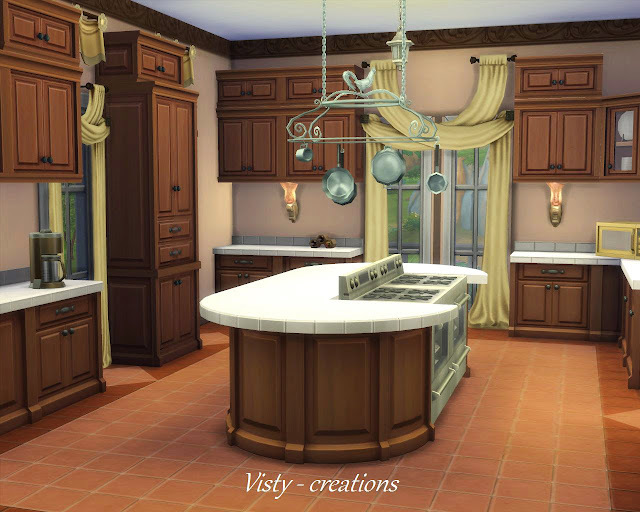 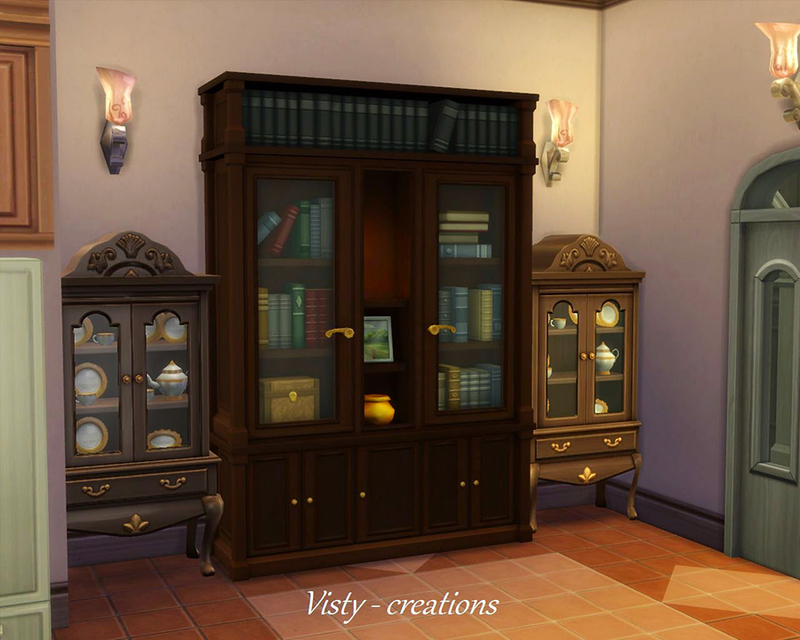 This creation is custom content free, meaning no CC required! 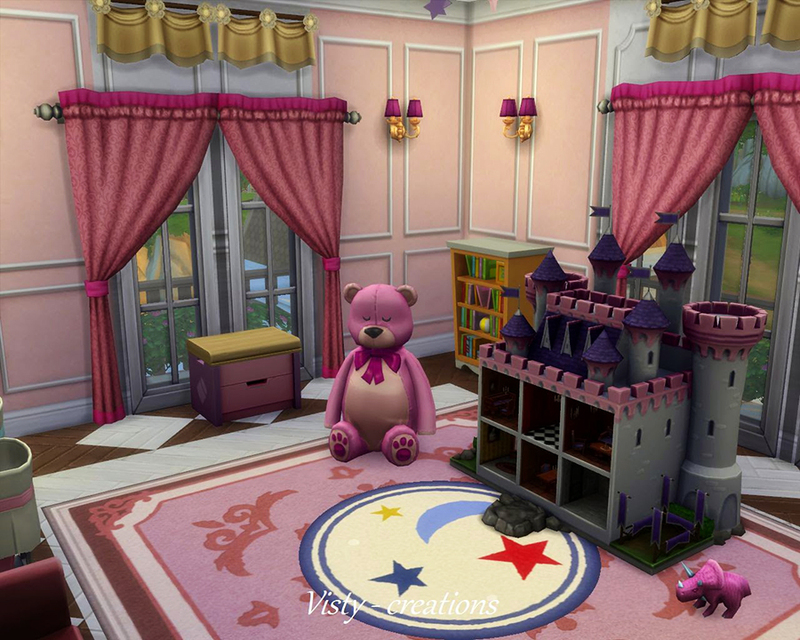 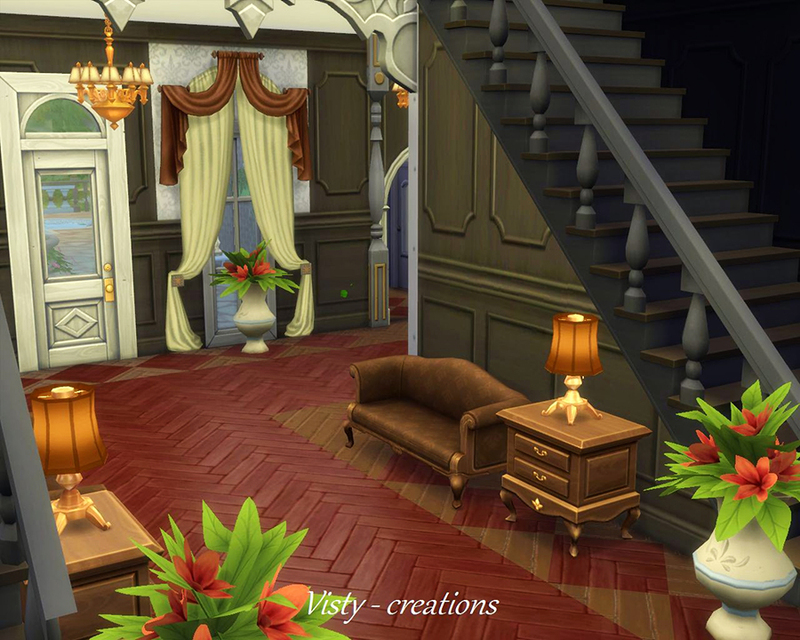 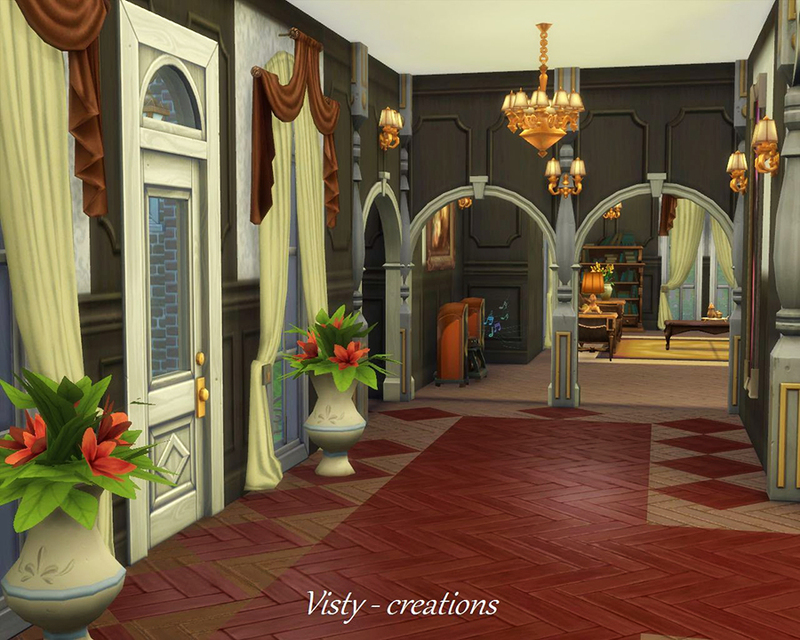 Completely built and decorated using The Sims 4 base game. 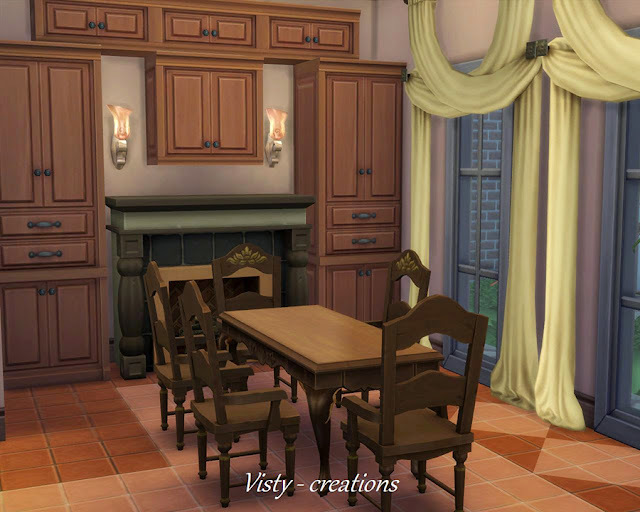 You can either download the file using the link I provided above, or look for my origin username in the online gallery - visty6. 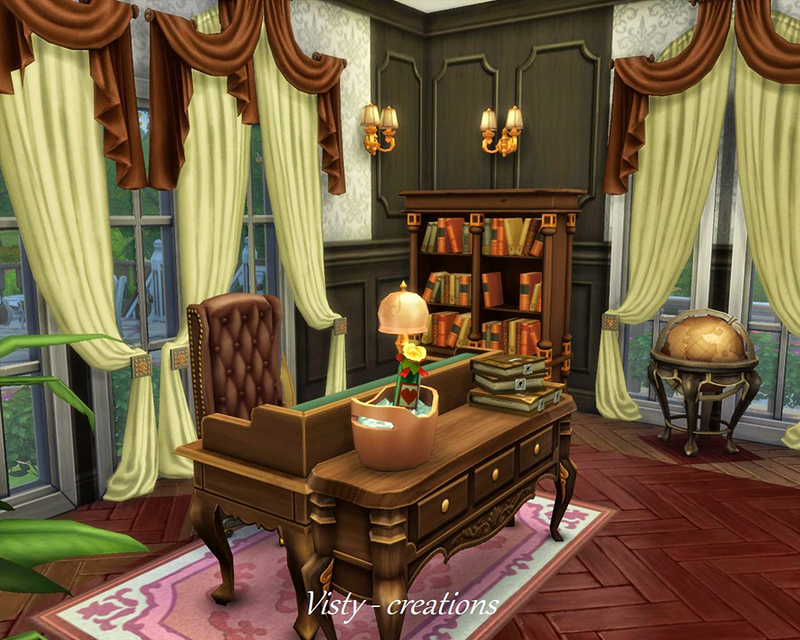 For manual installation, extract the files that you have downloaded into Documents » Electronic Arts » The Sims 4 » Tray. Full tutorial on how to install lots can be seen here. I get system error when I try to build this. Sad.